Optochin susceptibility, bile solubility, and encapsulation are the phenotypic characteristics most widely used to identify S. pneumoniae isolates. While most clinical isolates of S. pneumoniae are readily identified with these phenotypic tests, the occurrence of isolates with atypical characteristics has increasingly caused problems in diagnostic laboratories. S. pneumoniae, use of these targets has been complicated by the discovery that all three genes can occasionally be found in strains of other streptococci, especially Streptococcus mitis. [3,4] Modification of the polymerase chain reaction (PCR) primers used to amplify the psaA gene has enabled more specific identification of S. pneumoniae, and positive results by this psaA-specific PCR are generally in agreement with the detection of capsule formation. Initial reports of the results from partial sequence analysis of the gene encoding the manganese-dependent superoxide dismutase (sodA) indicate that this is a reliable method for species-level identification of streptococci from the mitis group (including S. pneumoniae). A commercial test using DNA probe complementary to the 16S rRNA of S. pneumoniae (AccuProbe®, GenProbe®, San Diego, CA) is being used by an increasing number of diagnostic laboratories. Evaluations of the AccuProbe® system have recorded positive results from streptococcal isolates with discordant combinations of phenotypic characteristics.1-3,8-1 Without an absolute gold standard, it is difficult to be certain whether these atypical isolates are S. pneumoniae or not, although many of these isolates appear to be organisms that are genetically divergent from typical S. pneumoniae strains. Restriction digestion by Rsal of the amplified 16S rRNA gene of S. pneumoniae produced identical results to the AccuProbe® system, and may be a useful alternative to the AccuProbe® for identification of atypical strains of S. pneumoniae. At present, the main role for genotypic tests is to aid the identification of atypical streptococcal isolates resembling S. pneumoniae, as optochin-sensitive, bile-soluble a-hemolytic streptococci are almost always S. pneumoniae. To date, no genotypic method, alone or in combination with phenotypic tests, has been shown to reliably identify all atypical S. pneumoniae isolates, although the psaA-specific PCR and partial sequence analysis of sodA are probably the most discriminatory of evaluated methods. Beyond the identification of S. pneumoniae strains, genotypic methods are increasingly being used for epi-demiological typing purposes. Capsular serotyping by immunological means has been the standard typing method for S. pneumoniae, but requires technical expertise and is time-consuming; furthermore, not all strains are typeable. However, serotype data will continue to be required for historical comparisons and as part of pneumococcal vaccine studies. Serotype-specific multiplex PCR assays have been developed to provide a rapid and cost-effective method of providing serotype data,[9'10] obviating the need to perform immunological testing. 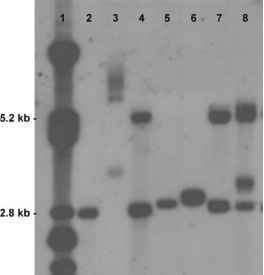 When serotype data is unnecessary, the most commonly used genetic fingerprinting method for S. pneumoniae is restriction fragment-length polymorphism combined with pulsed-field gel electrophoresis. PCR is the DNA amplification method almost exclusively evaluated in published studies for the detection of S. pneumoniae. A variety of PCR assays has been used, the most common targets being ply and lytA, although none has been sufficiently standardized for introduction into routine use. The use of PCR as a tool for diagnosing pneumococcal pneumonia has been evaluated in both adults and children. Most studies of S. pneumoniae PCR have focused on testing blood samples (whole blood, serum, or plasma) for the purpose of detecting occult pneumococcal bacteremia. Using positive blood culture as the comparison standard, the reported sensitivities for detecting S. pneumoniae in blood samples have ranged from 29% to 100% in adults, and from 57% to 100% in children. When the definition of pneumococcal pneumonia also includes patients with positive sputum cultures, the reported sensitivities range from 26% to 88%. The reason for this variation is unclear, as similar PCR protocols were used in most studies. Positive PCR results were also recorded from control subjects in many of these studies, and these findings are not readily explained. For the few studies that have evaluated PCR for detecting S. pneumoniae in respiratory samples, sputum PCR positivity rates have been high (82-100%). [11,12] However, specificity of PCR testing of sputum samples is low because of its inability to distinguish colonization from infection. [12,13] It is possible that quantitative PCR may be useful in this setting, and that infection can be distinguished from colonization by a higher bacterial burden in the former, but this is yet to be systematically evaluated. PCR has also been used successfully to detect S. pneumoniae in invasive respiratory samples.